Scouting Packs will be able to earn their Ice Skating Belt Loops during quarterly Scouts-Only events. The Chiller Ice Rinks will offer private skating events throughout the year at OhioHealth Chiller Dublin, Easton, North in Lewis Center and the Ice Haus downtown, and discount pricing is available to members of the Boy Scouts and their families. The Chillers will provide a list of requirements, related information and safety tips so leaders can focus on fun and safety! Cost: Free for Scouts and $7 per person including Skate Rental for friends and family - this is $3-4 off our normal pricing. No minimums or reservations are required for these events. Participate in a family or den skating event for at least three hours. Spend at least 30 minutes practicing skating skills. Explain ways to protect yourself while ice skating, and the need for proper safety equipment (Chiller will provide safety information upon arrival). Belt Loops must be purchased in advance ($2.50 each) and will be available at the facility concluding the event. Payments must be made 3 weeks prior to the event date. Purchase early, as quantities are limited. Please consider that there are no refunds after the order is placed. 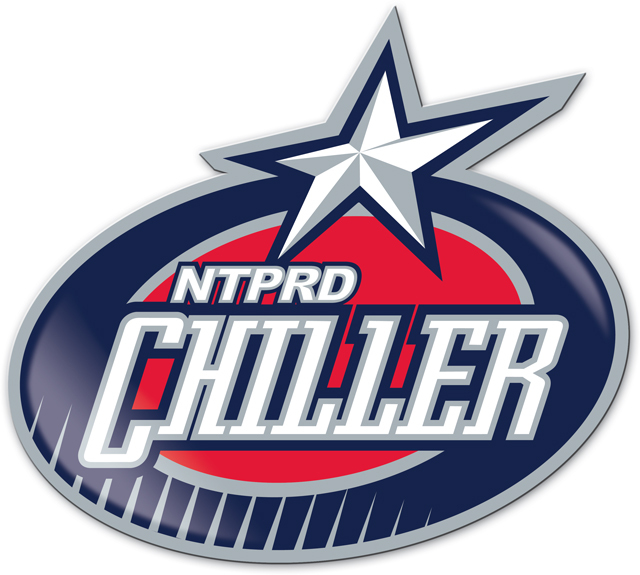 Contact Group Sales at groups@thechiller.com or 614-791-9999 x126 for more information or with any questions. Ages/Level: 13 years old and older, must have played travel or high school hockey. Others need to be approved by Coach Caruso. The Elite Camp is designed for goaltenders who want to push themselves to the next level. Goalies will work on conditioning, goalie specific agility and movement in the morning session. In the afternoon, goalies will be split into groups to work on save techniques, selection and game situations. We will focus on competitive and game-like situations. 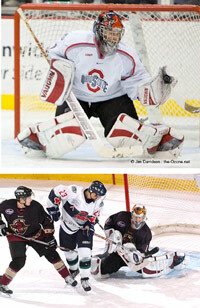 We will design new and innovative learning opportunities that professional and collegiate goalies are currently using. We will have a mix of current college and junior level goaltenders to help give insight to the campers about what it takes to succeed and push their game to the next level. Due to NCAA restrictions, we cannot use their names or likenesses. Raffles and prizes from the following sponsors: OhioHealth Chiller Ice Rinks, Vaughn Hockey, Vice Design, Caruso Hockey, Personal Best Consulting, Harbor Yoga and more. For more information, please contact Coach Dave Caruso - carusohockey@gmail.com. SaveMaker Fundamentals Camp is perfect for the players who want to focus more on the fundamentals of playing goaltender position. This camp is designed to give goalies the opportunity to enhance their technical save techniques, save selections and goalie specific movements through a variety of drills and game-like situations. We will breakdown the goaltender position and the specialized skills needed to help goaltenders improve and feel confident in their game. We will have a mix of current college, junior and varsity high school level goaltenders to help give insight to the campers about what it takes to succeed and push their game to the next level. Due to NCAA restrictions, we cannot use their names or likenesses.